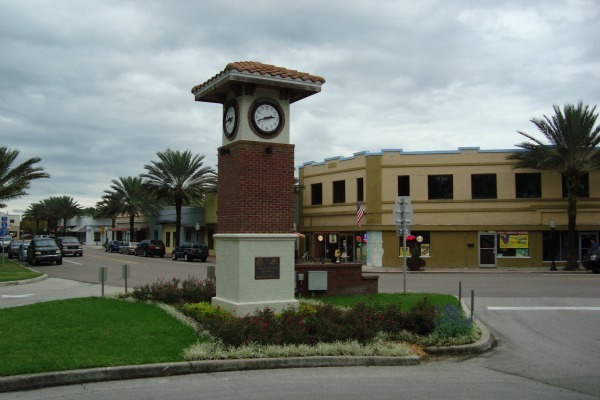 Auburndale Florida is a city of 14,000 people between Lakeland and Haines City on a major east-west federal highway, US-92. It is less than 50 miles southwest of Orlando. Like most small Florida cities, you have to get off the main highway and find the heart of the original town that was there in the old days and still exists. If you are traveling on I-4 from Tampa or Orlando, the most scenic way to come into town is on Country Road 559. 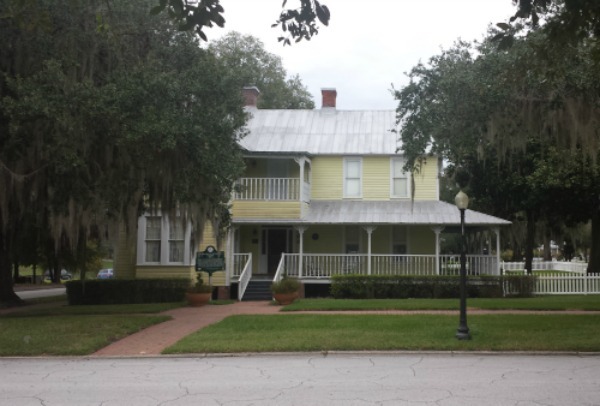 Auburndale is only about 4 miles south of the Interstate, and you will travel through some rolling grove and lake country that gives you a taste of how things used to be back in the day when citrus was king. If you come into town on US-92, the main scenery includes warehouses, old citrus packing plants, more warehouses and the big box stores and fast food places typical of most of Florida. It may be a quiet little town once you get off the main road, but it is also a thriving economic center. An example of one business that defines the town is Comcar Industries, formerly known as Commercial Carrier Corporation. The giant trucking firm was founded in 1953 by Guy Bostick. He built the firm with the help of his children into a giant company that now has 3,000 trucks and a host of other operations. The town was founded in 1880 by Frank Fuller and originally named Sanatoria for a hotel located here. 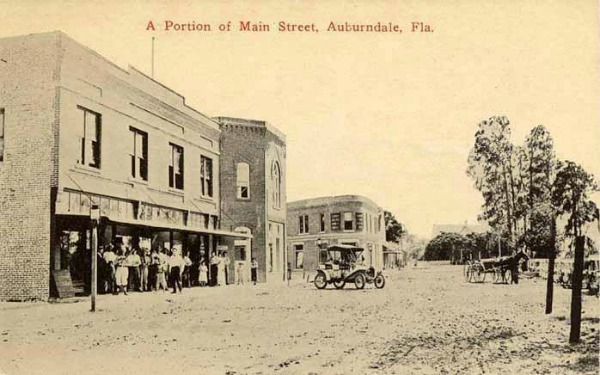 When the railroad came to town, the town renamed itself Auburndale after a town of the same name in Massachusetts. Thousands of acres of citrus were planted and the area began to boom. While the city was still young, the Big Freezes destroyed the citrus industry. The first freeze was on December 27, 1894. The second one was on February 7, 1895 and saw temperatures drop into the low twenties for three straight nights. Citrus made a comeback in the twentieth century that lasted until the 1970s and the entire area in all directions around Auburndale was covered with groves. Auburndale has done a good job restoring its historic downtown area and has preserved many nice old buildings. The centerpiece of downtown is the City Park, a wide grassy lawn with picnic shelters and playground equipment that gets a lot of use, especially on weekends. There are several restaurants and shops around the park neighborhood that make for some good dining and shopping. An example of the city's preservation effort is the Ephraim M Baynard House located just north of the downtown city park. The house was built in 1894 and is on the National Register of Historic Places. 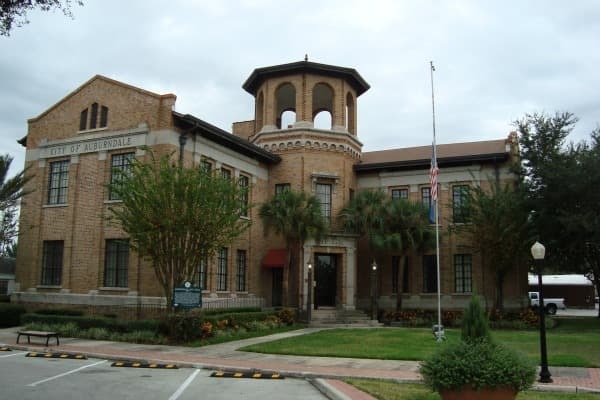 City Hall is also on the National Register and is on the western edge of the downtown park. 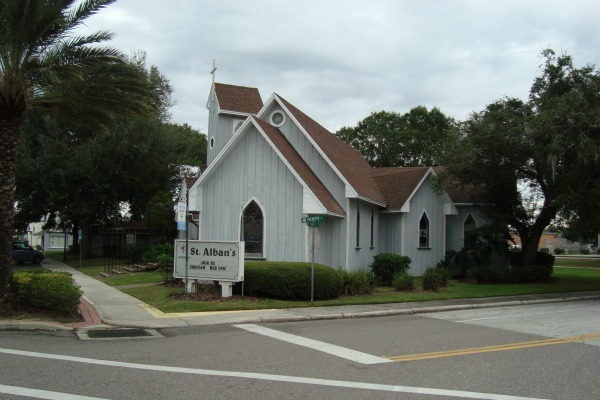 St. Alban's Episcopal Church was built in 1896 and is a couple of blocks south of the city park.